We have 4 glasses of water. If we put sugar in the first glass; salt in the second, flour in the third, and nothing in the fourth, which one will the egg float in first? We predict the egg will float in the flour water first because the flour looks the thickest. -Don't hold the egg tightly, drop it, or eat the egg. -Do not drop the glasses, broken glass can cut you. -Do not eat the products going into the glasses. Fill each glass with 12oz of water. Fill the first glass with 3 tablespoons of sugar. Fill the second glass with 3 tablespoons of flour. Fill the third glass with 3 tablespoons of salt. Leave the last glass plain water. Stir the water in all glasses. 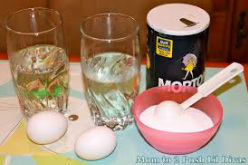 Carefully drop one egg in each glass. Continue to add each ingredient one tablespoon at a time until the egg floats. What is salt? Salt is a natural mineral made up of two elements, sodium and chlorine. What is sugar? A sweet crystal substance gotten from many plants, such as sugar cane and sugar beet, used to make food sweeter. What is flour? A powder gotten by crushing grain, usually wheat, used to make bread and cakes. What is density? Density is the amount of space in an object. For example, a balloon may be the exact same size as a bowling ball; but, if you have a bathtub full of water and you put the balloon in the water it will not overflow, if you put the bowling ball into the same tub the water it would overflow. What happens if you add an ingredient to water? 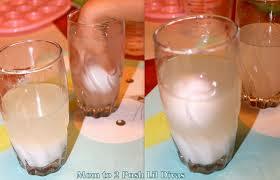 If the ingredient dissolves in water then the density of the water will change. This mixture is called a solution. 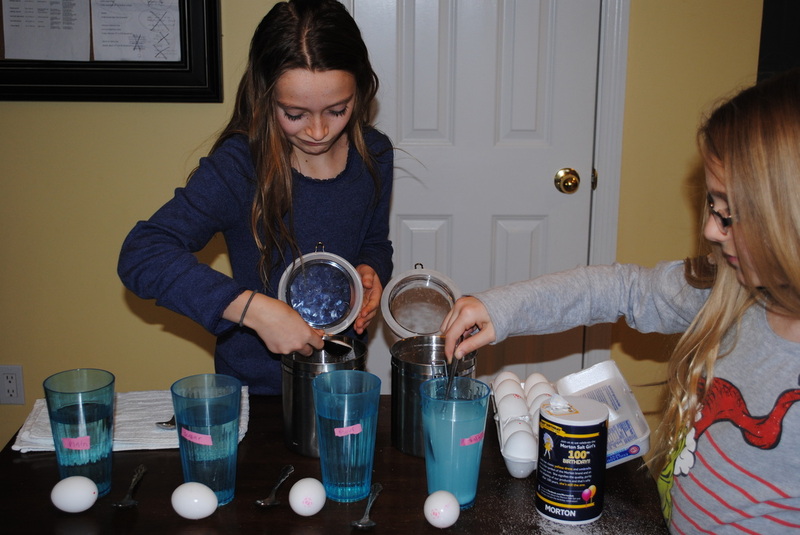 Once enough of an ingredient is added, changing the density of the water, the egg will float. 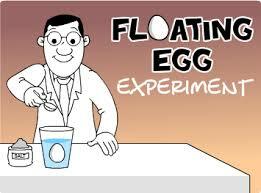 Why does an egg float in water? It cannot float in plain water because the density of the egg is greater than the plain water; therefore, the egg will sink. When enough salt is dissolved in water, it makes a solution and the water becomes more dense. 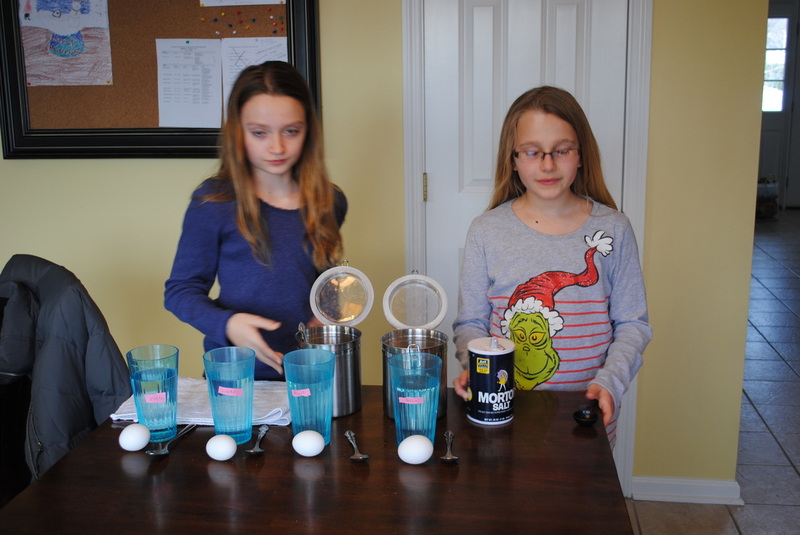 The increased level of density of the water causes an upward push, allowing the water to float the egg. Will sugar dissolve in water? Yes, sugar dissolves in water making a solution, but it dissolves better in hot water than in cold. For this reason more sugar has be added than salt to float the egg. The flour will not dissolve in water like the salt and sugar did. After adding many tablespoons of flour, and continuing to stir the mixture, the egg will finally float. 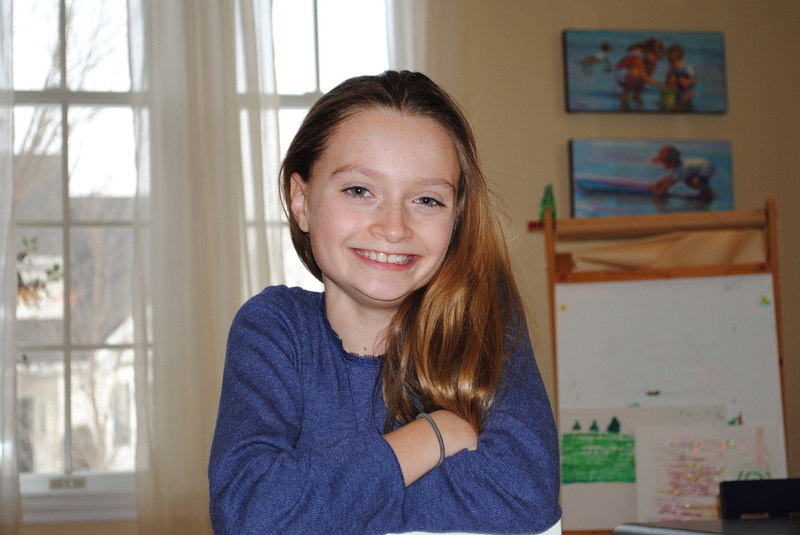 When the flour and water is mixed together, it never dissolves in the water and eventually settles to the bottom. This is called a suspension. The egg will temporarily float because it is suspended in the water. 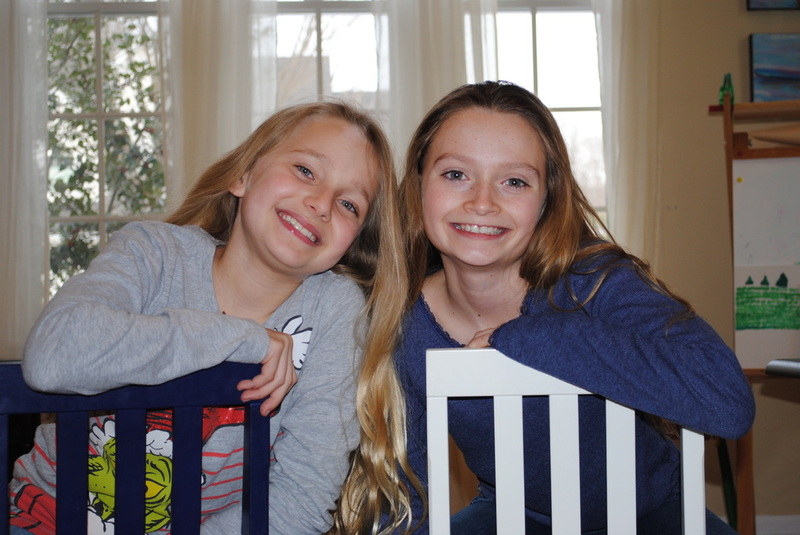 I am 10 years old and I have a younger sister in 3rd grade. I love soccer and cheerleading. 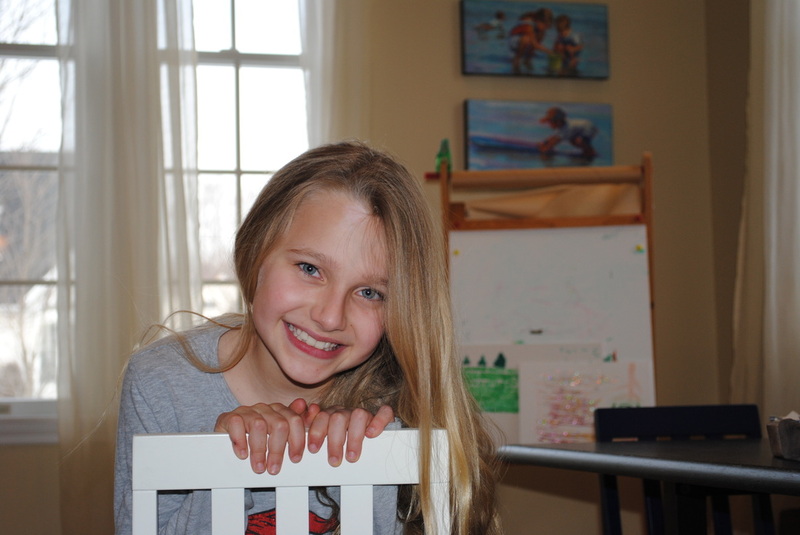 I am 10 years old and I have two younger brothers one in 3rd grade and one in 2nd grade. I love playing basketball and lacrosse. 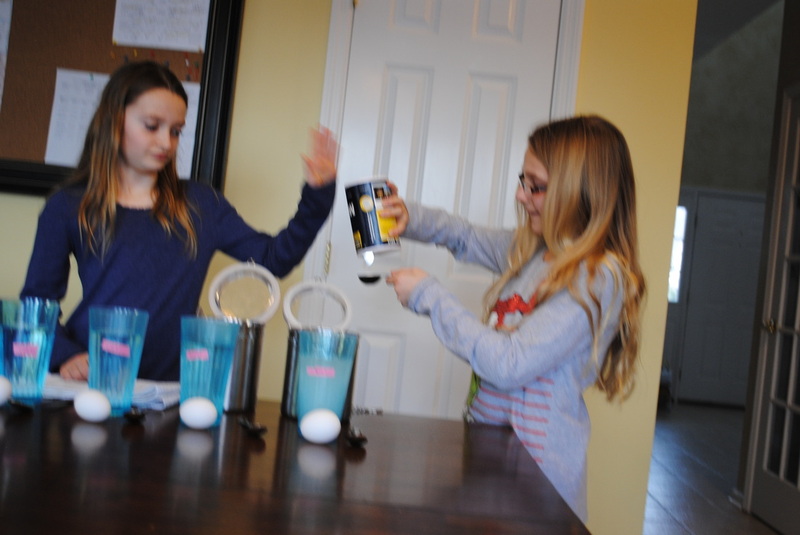 We worked great together on this exciting science project because we are such good friends.